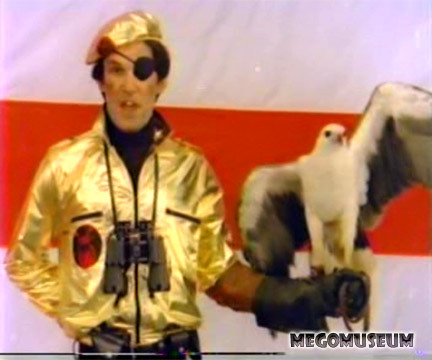 We’re then transported to Eagle Island where Captain Eagle is keeping watch. 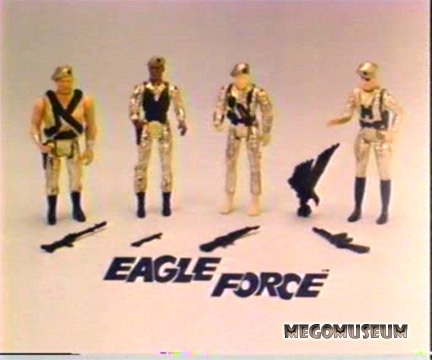 He explains the Eagle Force will be showcased in several commercials. 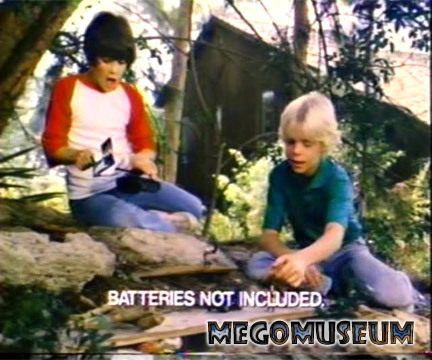 The first commercial is for the figures and shows kids playing in a fashion similar to many late 70’s Mego commercials. 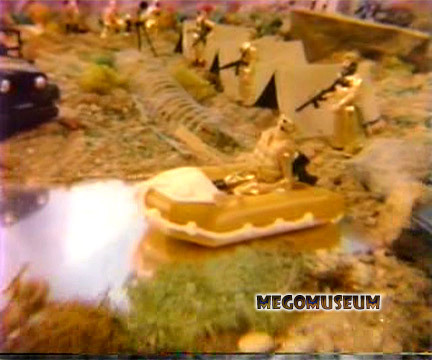 A funky disco version of classical music fills the air and the traditional Mego voiceover starts. The ad somehow makes the figures look huge. 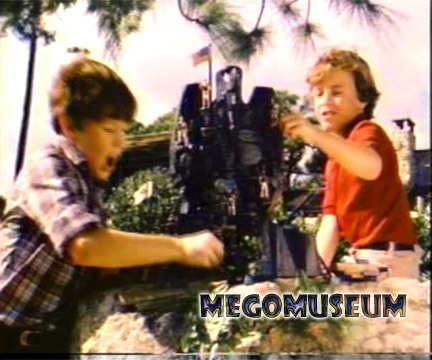 First scenes are a set of kids play with Eagle Force. 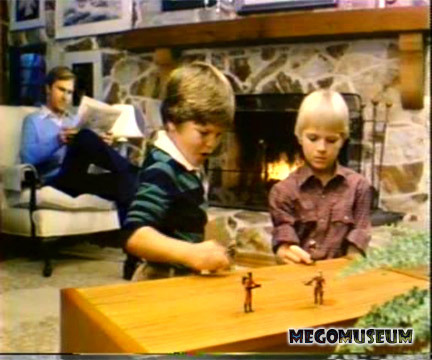 Then we see the bad kids playing with R.I.O.T, they are plotting vile things while Dad enjoys his newspaper. 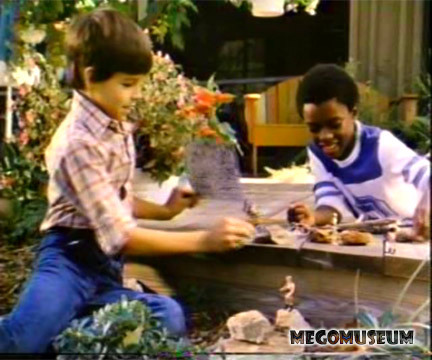 The commercial ends in the standard product shot. 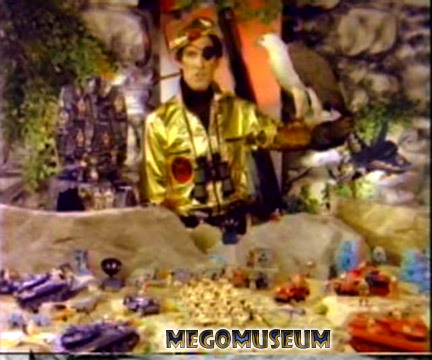 The next two ads are for Eagle Force Tank and Jeep and the Eagle Island playset. 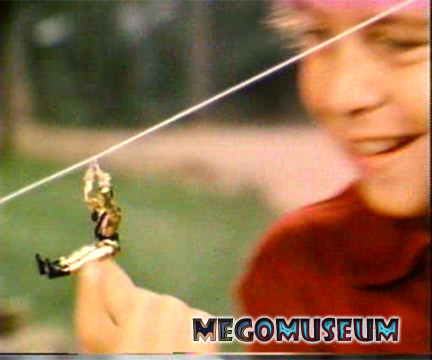 The action shot of Captain Eagle swinging into Eagle Island is particularly cool. 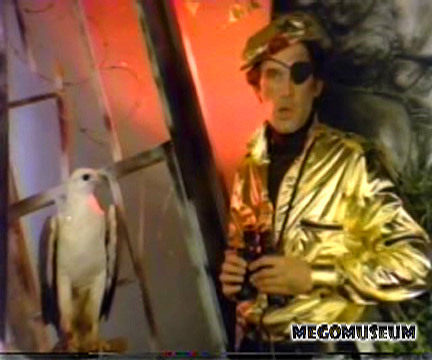 The film ends with Captain Eagle ever vigilant over his crew.